Microsoft has released its monthly Patch Tuesday update including a total of 10 security bulletin, and you are required to apply the whole package of patches altogether, whether you like it or not. That's because the company is kicking off a controversial new all-or-nothing patch model this month by packaging all security updates into a single payload, removing your ability to pick and choose which individual patches to install. October's patch bundle includes fixes for at least 5 separate dangerous zero-day vulnerabilities in Internet Explorer, Edge, Windows and Office products that attackers were already exploiting in the wild before the patch release. The patches for these zero-day flaws are included in MS16-118, MS16-119, MS16-120, MS16-121 and MS16-126. All the zero-days are being exploited in the wild, allowing attackers to execute a remote command on victim's system. 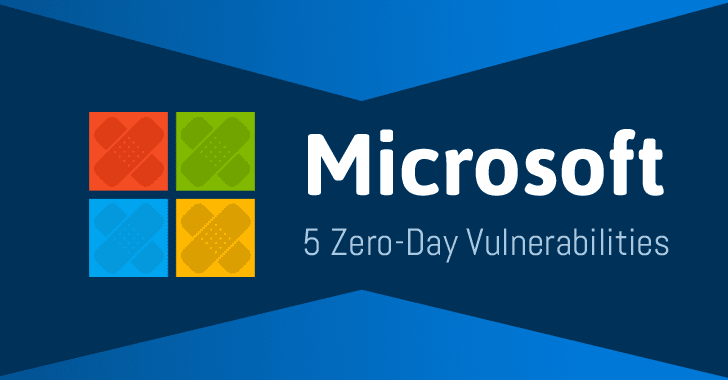 Although none of the zero-day flaws were publicly disclosed prior to Tuesday, the company was aware of attacks exploiting these flaws, said Microsoft. CVE-2016-3298: An Internet Explorer zero-day flaw is a browser information disclosure vulnerability patched in MS16-118 bulletin among 11 other vulnerabilities. It could allow attackers to "test for the presence of files on disk." CVE-2016-7189: A zero-day in the browser's scripting engine has been patched in Microsoft Edge bulletin, MS16-119, among others. The flaw is a remote code execution vulnerability. CVE-2016-3393: Another zero-day in Microsoft Windows Graphics Component has been addressed in MS16-120 that could be exploited over the web, or via an email containing malicious file or over a file-sharing app to conduct RCE attack. CVE-2016-7193: A single zero-day in Office has been addressed in MS16-121 bulletin. The flaw is a remote code execution vulnerability caused by the way Office handles RTF files. CVE-2016-3298: The last publicly attacked zero-day has been patched in MS16-126, which is the only zero-day that is not rated critical, just moderate. The flaw is an information disclosure bug affecting Vista, Windows 7 and 8 and exists in the Microsoft Internet Messaging API. Another bulletin rated critical is MS16-122 that patches a remote code execution flaw, CVE-2016-0142, in the Windows Video Control, affecting Windows Vista, 7, 8 and 10. The bug can be exploited when a user opens a crafted file or app from the web page or email. Microsoft also patched twelve vulnerabilities in Adobe Flash Player for Windows 8.1, Windows 10, and Server 2012 in MS16-127. Rest bulletins rated important or moderate, including MS16-123, MS16-124 and MS16-125, patches five elevation of privilege vulnerabilities in Windows Kernel-Mode, four elevation of privilege vulnerabilities in Windows Registry, and an elevation of privilege flaw in Windows Diagnostics Hub respectively. Adobe also released a new version of Flash Player today that patched a dozen of vulnerabilities in its software, most of which were remote code execution flaws. Adobe has also published code clean-ups for 71(!) CVE-listed security flaws in Acrobat and Reader, along with a fix for a single elevation of privilege bug in Creative Cloud. Users are advised to apply Windows and Adobe patches to keep away hackers and cybercriminals from taking control over your computer. A system reboot is necessary for installing updates, so admins are advised to save work on PCs where the whole package of patches is deployed before initiating the process.